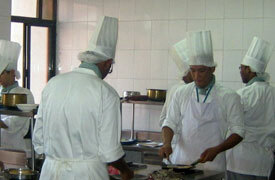 The HAFT programme is one of the oldest and most prestigious courses in hospitality in the city. This DEGREE is recognized by all deluxe hotel chains in India. HAFT provides 3 state-of-the-art kitchens and a bakery, with the latest equipment, as well as two training restaurants to facilitate learning in a professional environment. The HAFT tradition is of 'learning to look after' continues beyond the academic horizons. B.Sc. 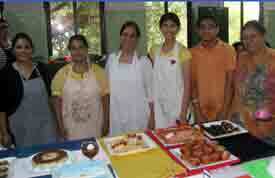 in Hospitality Studies is a three years programme, affiliated to the University of Mumbai. The Degree is one of the oldest and most prestigious courses in hospitality in the city. This DEGREE is recognized by all deluxe hotel chains in India. HAFT provides 3 state-of-the-art kitchens and a bakery, with the latest equipment, as well as two training restaurants to facilitate learning in a professional environment. two specific areas of hotel operation in their third and final year. There is mystery in the way that simple ingredients – flour, water, yeast, salt, sugar – are transformed into bread or cake. But the process need not be mystifying. In fact, it is easy when you understand why. Revealing the 'why' and 'how' of bakery and confectionery and giving a hands-on experience, is the essence of this course. 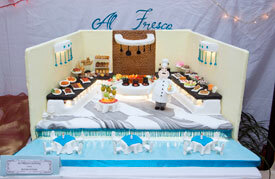 It engages beginners, enthusiasts and culinary professionals alike in a fascinating journey of culinary delights. This is a comprehensive course in Baking and Patisserie, comprising three modules starting from the basic, going on to intermediate, and finally to the advanced phase. Each module is of six weeks duration covering recipes of different countries. Its uniqueness lies in the hands-on experience it offers to the student to excel in the different avenues of this exciting world of baking.